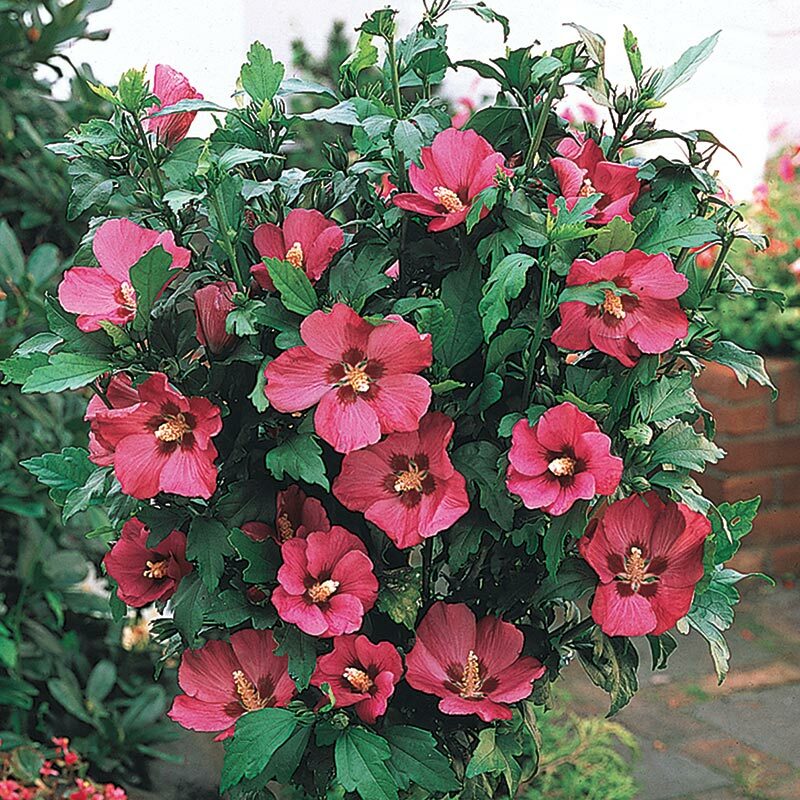 Fall in love with the large, 4-5" dark pink flowers with prominent dark red eyes that bloom from midsummer to frost. The dark green, heavily textured foliage remains a lustrous green well into fall. 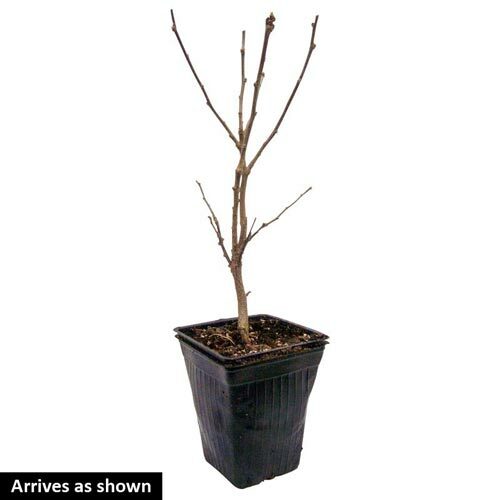 Growing 6-8' tall with a similar spread, it can be grown alone or set into a border for a screen or hedge It's very tolerant of a wide range of soils. This variety is noted for its compact growth habit, ease of culture and reliability. 4" pot. Zones 4-9. 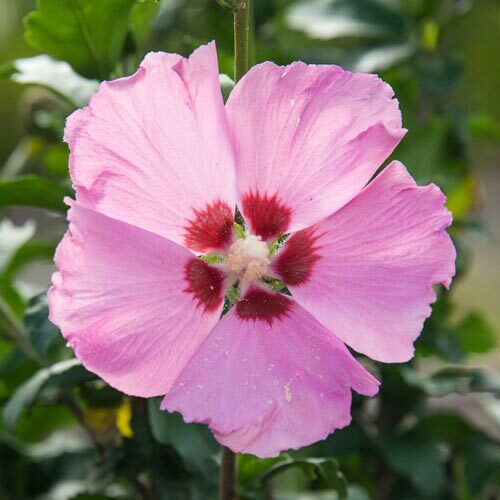 Hibiscus syriacus 'Aphrodite'. Full Sun to partial shade. Deer tend to avoid. Unique CharactersticsAn outstanding triploid introduced by the late Dr. Egolf at the National Arboretum. Large, clear colored flowers with overlapping petals are produced continuously through-out the summer and fall with no lapse. The foliage shows none of the yellowing in mid summer that is typical of diploid Hibiscus. The lustrous dark green leaves remain on the plant well into late fall. This variety is also noted for its compact, erect growth habit, ease of culture and reliability.